I hate Troggs. They are gross and smelly and stupid. I can write that because none of them can read. In my Battlesuit I have personally killed dozens, but like roaches they just keep coming back. The ones here in Gnomeregan have a “Might makes Right” mentality that has them under my sway. I say, we call an end to Gnome vs Leper hostilities and focus on our REAL enemy. The Trogg. A false retreat of Mekkatorques forces, plus an all out order for ALL troggs, and ONLY troggs to pursue. Once the troggs are out in the open, we lock the doors behind them! With no where to run, they can be squashed easily! ONE BUILDING was used as an excuse against me. Most of west Dun Morogh is wilderness. Why WOULDN’T we expand!? We can do better! “New” Tinkertown is a humble shanty town. 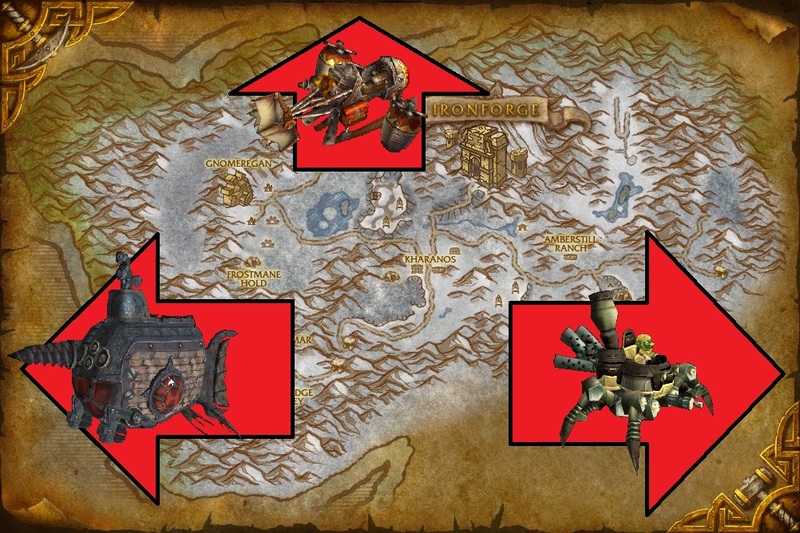 Look at what the Goblins were able to do in Azshara in half the time! We need to go BIGGER! The Alliance is well organize, and good at sharing resources. There is no reason we shouldn’t be able to put that goblin bay to COMPLETE shame! We have so much to work with. Perhaps I was over… aggressive… in my plan to displace the Dwarves to make more room for us. There is plenty of room. Goblins built out in to the sea? Gnomes can build up in to the SKY! Imagine it. Gnomeregan spires. Ask a guard for directions? NO, walk up to a teleporter and be teleported to a shop ten feet away. Why? Because we CAN! Elevators are LAME. BUT single occupancy pneumatic tubes? AMAZING! We can do it. Gnomes, please, stop digging down, backwards, in to the past. Move forwards, upwards, towards an elevated and enlightened FUTURE!